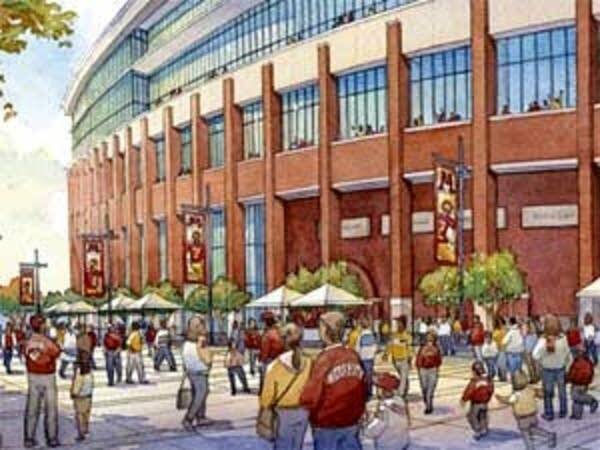 University of Minnesota President Roberts Bruininks is asking the board of regents to let the school apply for a state liquor license in order to serve beer and wine at the University's new football stadium. But a game day beer, or glass of wine, would only be available to those willing to pay for expensive seats. "This is a decision that's being made for the good of the campus. We think it's very important to monitor and control the consumption [of alcohol]. It is just to difficult to monitor in a broad open setting like that," said Wolter. The University of Maryland recently decided to allow alcohol in premium seating. School officials say it's a safe way to serve alcohol, while providing guests with a "wonderful game day experience," according to a statement in the Baltimore Sun. Policies on who can buy alcohol and when they can consume it varies widely at stadiums across the country. Some schools ban alcohol altogether. Others allow drinking in tailgating sections of stadium parking lots, and some end those parties at kick off. Other stadiums sell booze during the game, but some limit how much patrons can buy. That makes some students think the policy at the new TCF stadium is a bit unfair. The 21-year-old chemical engineering major says this issue is not a big concern to most students. But some think its unfair that only those paying for expensive seats will be able buy a drink in the Gophers new home. The University of Minnesota proposal would not only allow beer in the expensive seats at the new TCF Bank stadium, but also some pricey spots in Williams Arena, Mariucci Arena and during special events at the University of Minnesota Arboretum.